Updated 29/3: Now Supporting Dolomite Weathers! 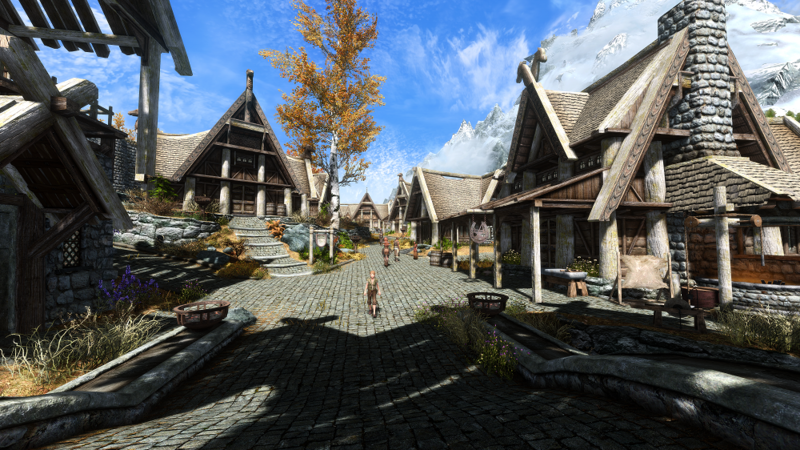 Using a number of lighting and colour techniques, this preset gives a vastly improved look over vanilla, whilst being relatively performance friendly. Supports Vanilla, Dolomite Weathers, True Storms, Climates of Tamriel and Vivid Weathers. Ambient Light, HDR and Bloom working in synergy to create realistic lighting. Colour Correct Lut created with photoshop (Thanks TreyM!) for a perfect reproduction of colours. 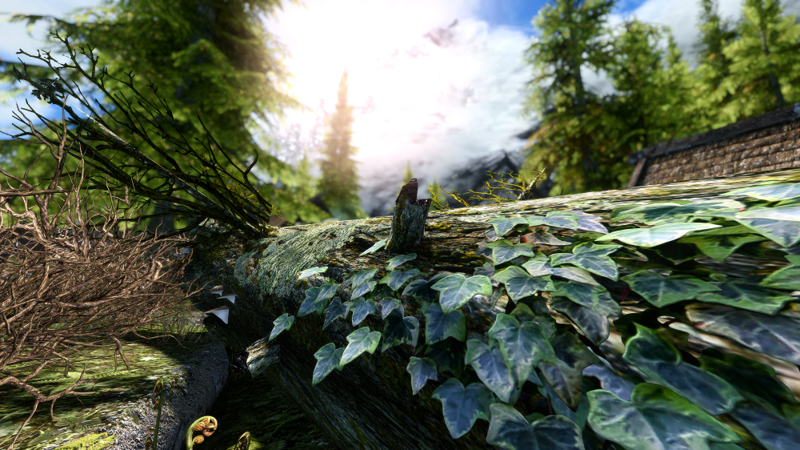 Working Depth of Field for ENB version (Thanks to MartyMcfly and L00ping). Luma Sharpening to remove the blur evident in vanilla. DPX and Vibrance working together to bring the colours to life. Curves for improved shadows that still allow you to see in caves and dungeons. REQUEST: If you like this mod, please don't forget to endorse it. I've spent many hours tweaking it and I'd greatly appreciate it if you could do so. 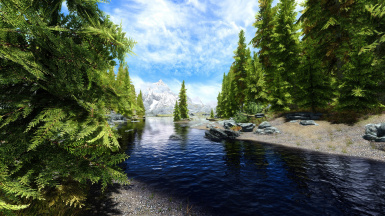 Amazing ENB.I tried every single one out of the first 7-8 on the nexus and this is the only one that looks like an ENB should to me. Had a bit of preformance trouble in and around riften but with some tiny tweaks I was able to get it at a steady 60. Firstly, Make sure your brightness is set to default (middle). Secondly your gamma by opening up SkyrimPrefs.ini located in Documents/My Games/Skyrim Special Edition and changing the following under the [Display] section. This preset was created using TAA and will only look right if using it. Lumasharpen is used to negate any blur created. SMAA and FXAA don't cut it and will look jaggy. I highly recommend you to use Dolomite+True Storms with my matching preset. In my opinion it looks the best and the most realistic, esspecially since update 4.4. Please install the mods in the following order to avoid issues. 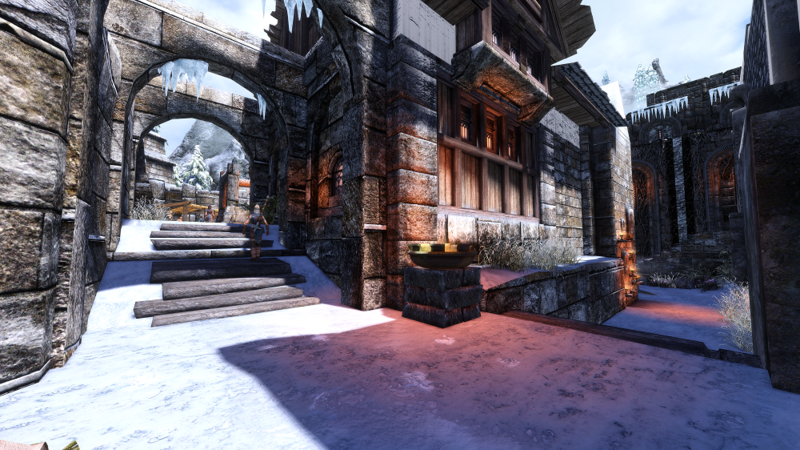 - A Noble Skyrim Texture Pack Full <--- Download manually and add to Nexus mod manager manually. - A Noble Skyrim SMIM and SE Patches <-- Download manually and add to Nexus mod manager manually. - Verdant - A Grass Plugin <--- WARNING! PERFORMANCE HEAVY! - Enhanced Lights & FX - Only install the SMIM Patch. 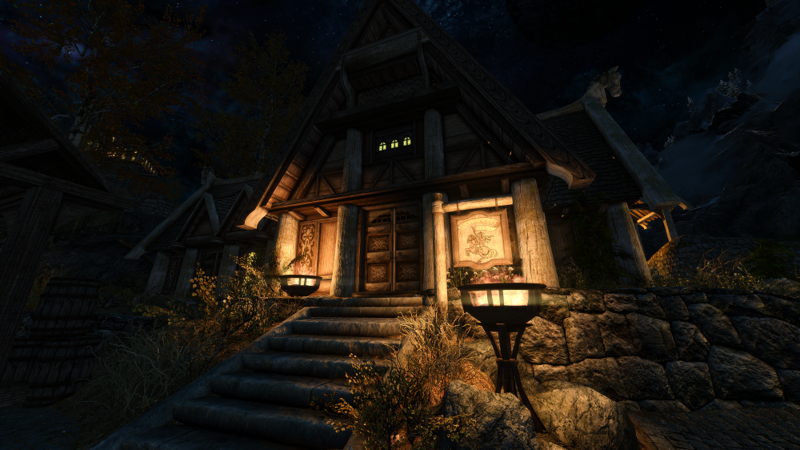 - Lanterns of Skyrim <-- If using Vivid Weathers make sure you download the Vivid Weathers Patch. 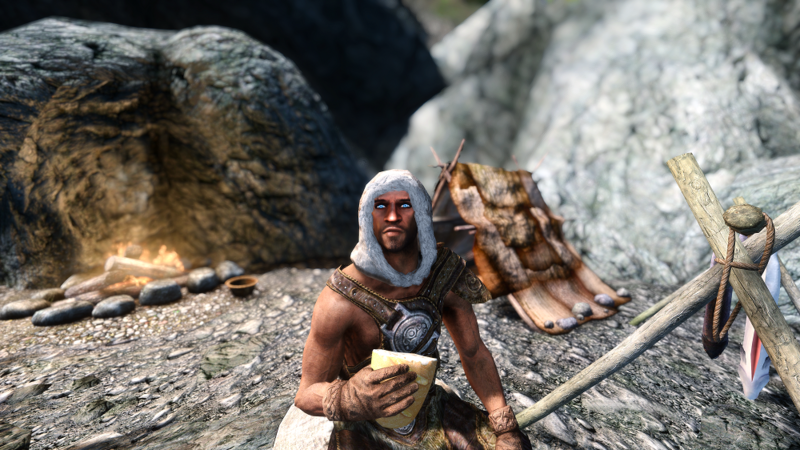 I don't recommend using Enhanced Lighting for ENB (ELE) with this preset. It will make light sources very orange and not look right. NEED HELP? Post in the comments! If using the Dolomite preset, ensure it's installed before continuing as my files overwrite it's default settings. Download my preset and place everything from the first folder into your Skyrim Directory where "SkyrimSE.exe" is located. Overwrite any files if asked. An easy way to find this is to right click the game in your steam list, click properties, click the local files tab and then click browse local files. This is where you want to place all the files. Open the folder of the preset you want to use and place the "Nyclix's ENB.ini" file in your Skyrim Directory. Check to see if you have dxgi.ini in your skyrim directory. If you do, delete it. Dxgi.ini scans your presets once and keeps a record of them. If you try and add another preset it won't come up so deleting dxgi.ini makes dxgi.dll rescan for presets and make another dxgi.ini. Once in game press shift+F2, press continue and then select the preset from the drop down menu. Continue by following the on screen prompts until you're finished. If the shift+F2 menu doesn't appear try renaming dxgi.dll to d3d11.dll and reopening the game. Please note that doing so means you cannot use enb and your steam overlay may not work. The core version is now installed. 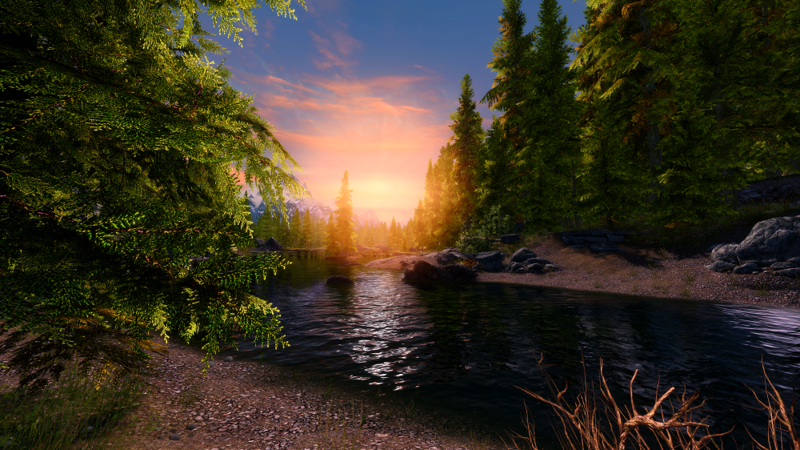 If you want to add ENB with depth of field continue on (Warning! Performance heavy), otherwise enjoy! Open the wrapper folder inside the download and place d3d11.dll and d3dcompiler_46e.dll into your skyrim directory. Crashes after installing reshade are likely due to something conflicting with dxgi.dll - This is usually caused by anything that has an on screen display such as graphics overclocking and monitoring software so first try and close these and see if it helps. If not, you should update your direct X with Direct X Web Installer. Delete the following files from your SkyrimSE directory. PS Thanks to TreyM for his fantastic Lut, Samo1980 for his amazing banners, L00ping for his DoF settings, MartyMcfly for his DoF Shader and CallyStaza for her lovely screenshots.